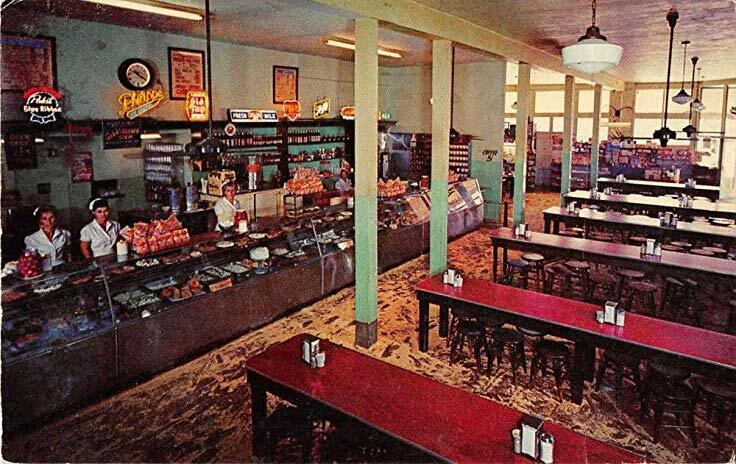 Los Angeles Legendary Philippe's Restaurant (and inventor of the French Dip) is turning 110 today. 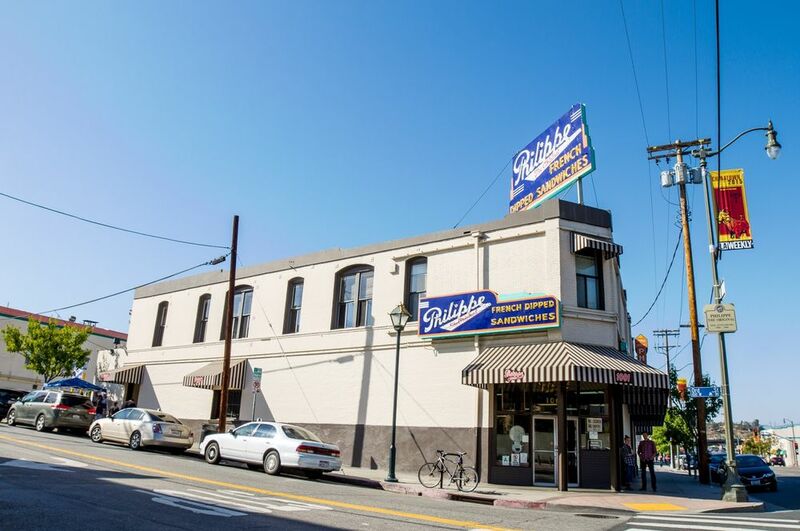 Head on over to Philippe, one of the oldest and best-known restaurants in Southern California today because in honor of its 110th year birthday, they are offering $1.10 French Dip Sandwiches. 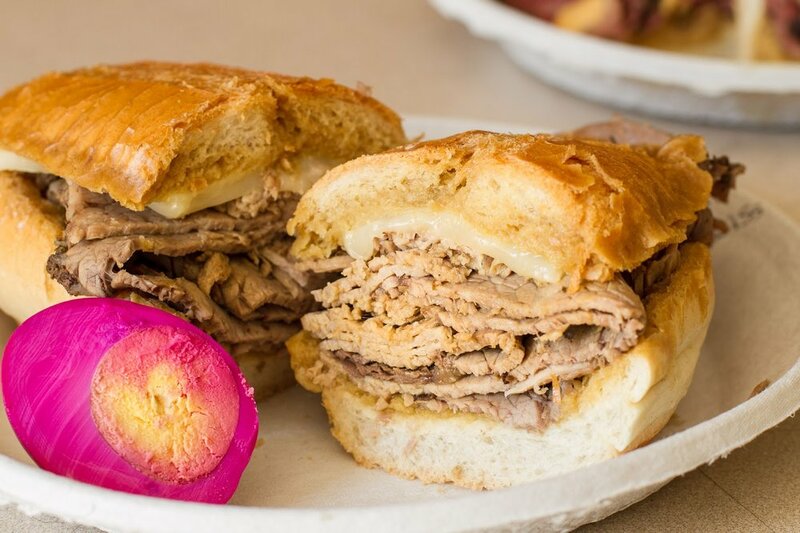 Philippe’s “French Dipped Sandwich” the specialty of the house, consists of either roast beef, roast pork, leg of lamb, turkey, pastrami or ham served on a lightly textured, freshly baked French roll which has been dipped in the natural gravy of the roasts. Swiss, American, Cheddar, Monterey Jack or Blue cheese may be added. 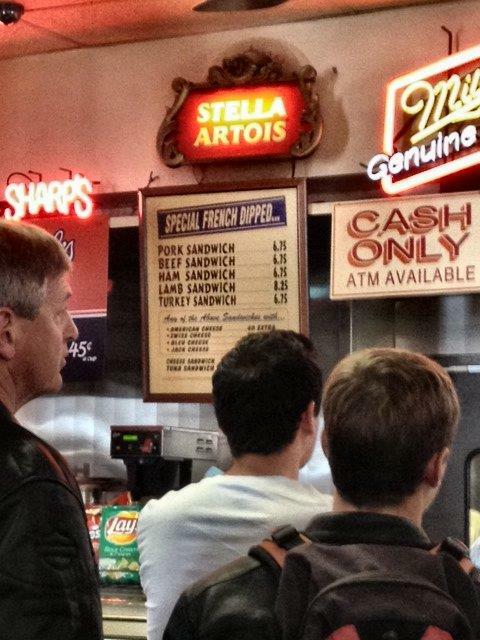 If you live in LA you know that there is great controversy over which LA restaurant actually invented the French Dip. 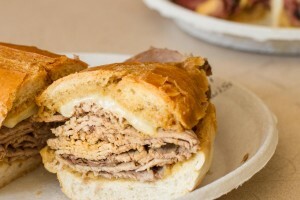 Two competing eateries, Philippe and Cole's each claim to have invented the iconic sandwich. As the story goes...in 1918, Philippe Mathieu, the owner of Philippe was preparing a sandwich for a policeman and accidentally dropped the sliced French roll into the drippings of a roasting pan. The policeman liked the sandwich and came back the next day with some friends to order the sandwich dipped in the meat pan. From that day on, a new sandwich was born. 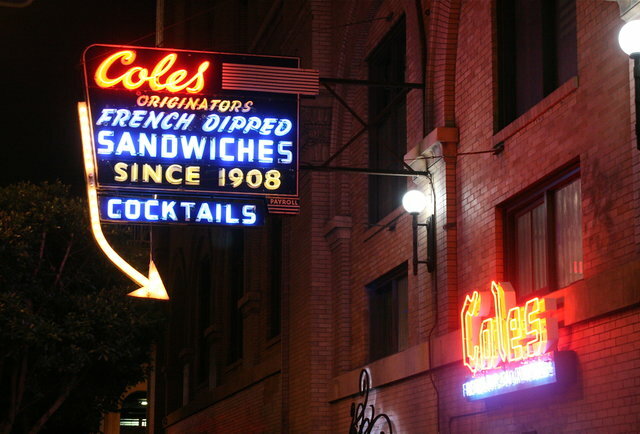 Cole's owners claim that the sandwich was invented at their restaurant in 1908. Their origin story states that Mr. Henry Cole's friend was the chef in the kitchen at the time. Someone came to the restaurant and wanted a sandwich when the bread fell into the beef juice and they liked it. The other customer in line behind him asked for the same sandwich (needless to say, most people believe Phillppe's story over Cole's). Whichever the case may be, this was the origin of the French dip sandwich, and people still go to Philippes and Cole's for them...and they go A LOT. 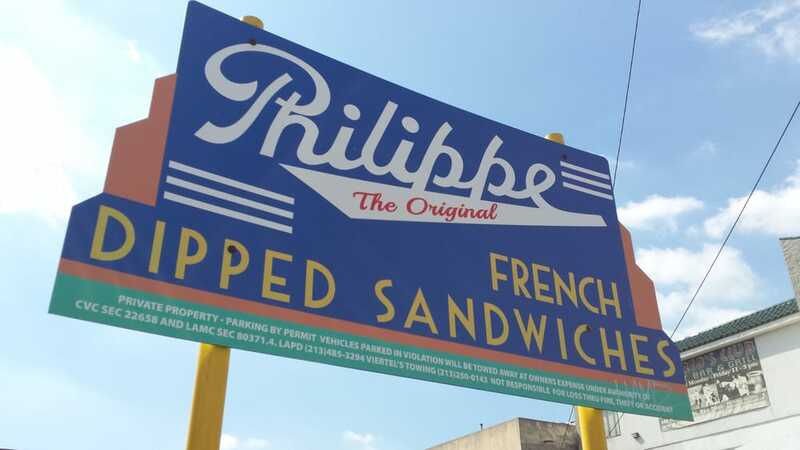 Philippe says it serves about 20,000 sandwiches a week...and more when the Dodgers are playing at home. 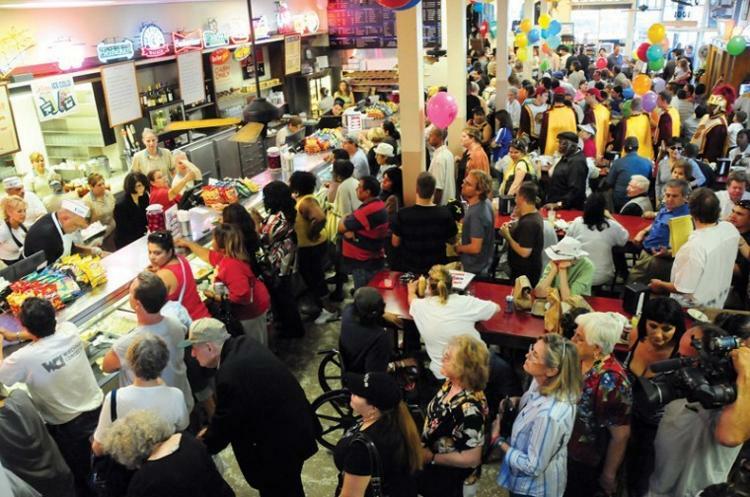 Now today, Monday, Oct. 1, Philipps is holding a 110th-anniversary celebration from 4 p.m. to 8 p.m. The event will include live entertainment, raffles and sandwiches for $1.10. So go and enjoy a part of Hollywood history, and be thankful these restaurants are still around. That is why we ❤️it.